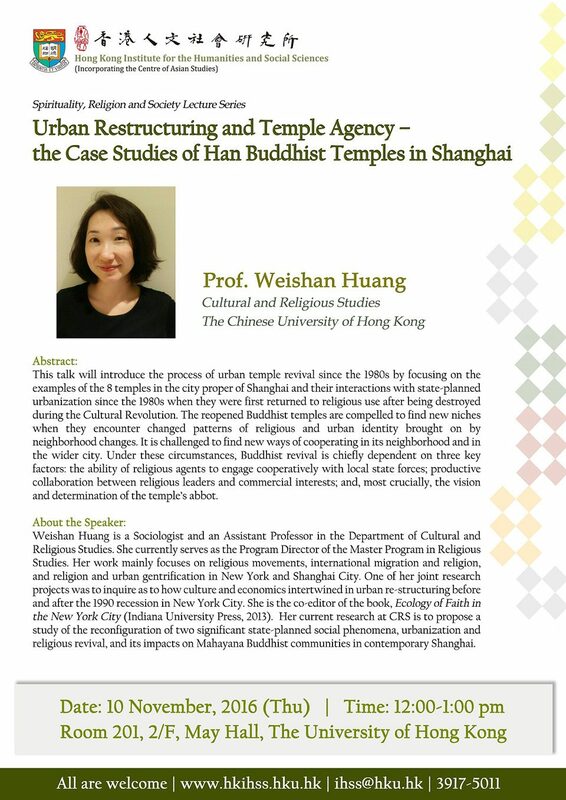 This talk will introduce the process of urban temple revival since the 1980s by focusing on the examples of the 8 temples in the city proper of Shanghai and their interactions with state-planned urbanization since the 1980s when they were first returned to religious use after being destroyed during the Cultural Revolution. The reopened Buddhist temples are compelled to find new niches when they encounter changed patterns of religious and urban identity brought on by neighborhood changes. It is challenged to find new ways of cooperating in its neighborhood and in the wider city. Under these circumstances, Buddhist revival is chiefly dependent on three key factors: the ability of religious agents to engage cooperatively with local state forces; productive collaboration between religious leaders and commercial interests; and, most crucially, the vision and determination of the temple’s abbot. 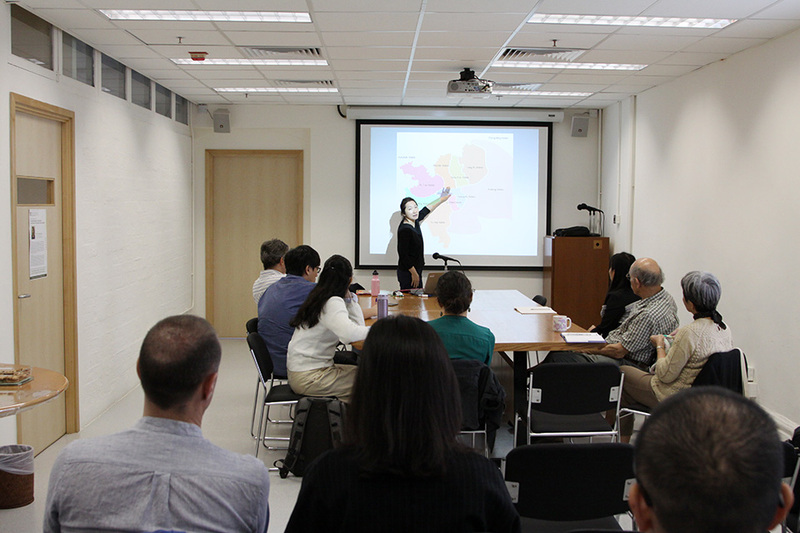 Professor Weishan Huang is a Sociologist and an Assistant Professor in the Department of Cultural and Religious Studies of CUHK. She currently serves as the Program Director of the Master Program in Religious Studies. Her work mainly focuses on religious movements, international migration and religion, and religion and urban gentrification in New York and Shanghai City. One of her joint research projects was to inquire as to how culture and economics intertwined in urban re-structuring before and after the 1990 recession in New York City. She is the co-editor of the book, Ecology of Faith in the New York City (Indiana University Press, 2013). 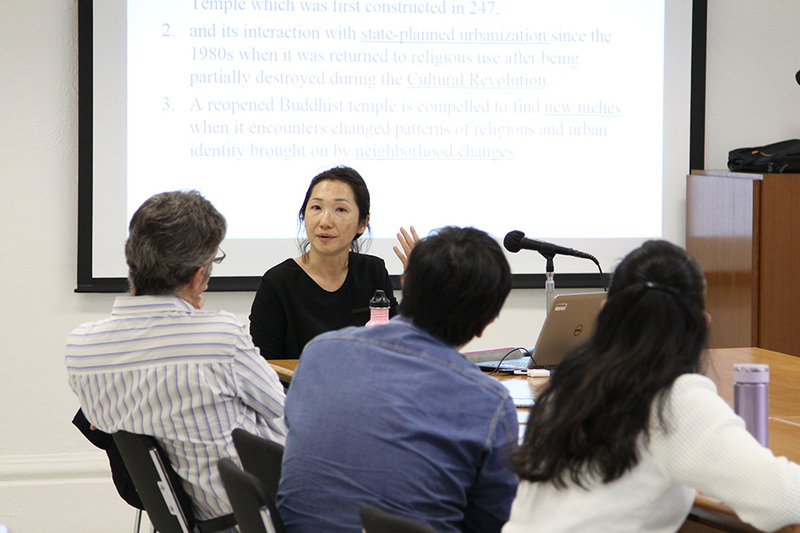 Her current research at CRS is to propose a study of the reconfiguration of two significant state-planned social phenomena, urbanization and religious revival, and its impacts on Mahayana Buddhist communities in contemporary Shanghai.